Here are some links to a small sampling of reviews of Old 3C Records releases from over the years. Agit Reader reviews of Ego Summit, Stark Folk, and Great Plains. Aquabear Legion review of Orchestraville. Richard Byrne’s reviews of Great Plains and Malefactors of Great Wealth. Dave Hyde’s Great Plains/TJSA story on the Terminal Boredom blog. 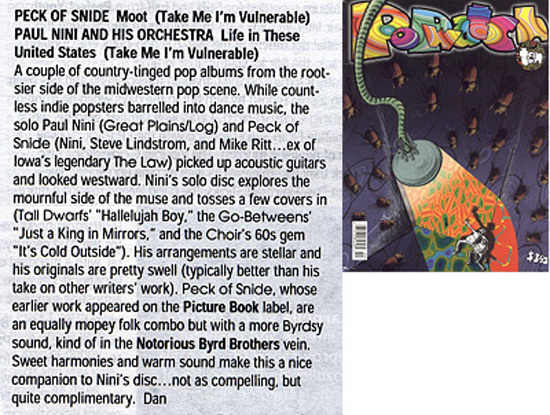 As well, here are a few scans of reviews from the days when publications were print-only and didn’t have web-sites. Yes, that was a long time ago. 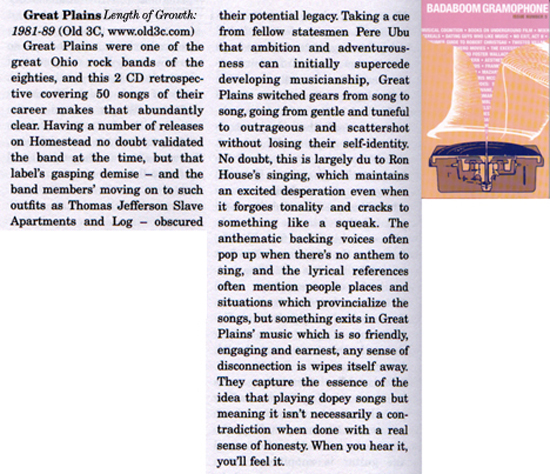 Badaboom Gramaphone #5, Winter 2001 issue, review by Ben Goldberg. 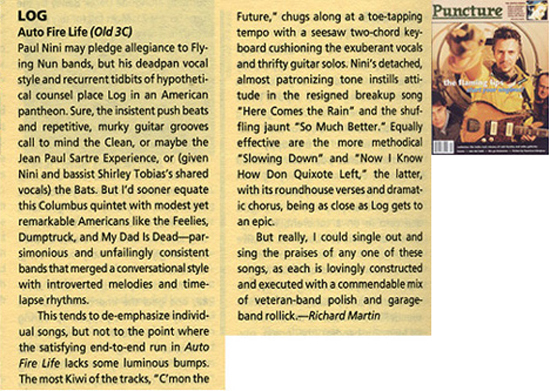 Puncture #44, Summer 1999 issue, review by Richard Martin. Popwatch #10, Winter 1999 issue, review by Dan Vallor.